Nancy’s husband went to California in the gold rush. There was no word of him for some time and the rumor spread that they had started home through Mexico (as indeed they had) and had been killed there (as they had not). The night he got home, Nancy had a headache as a result of a toothache cure she had applied. She had run a hot darning or knitting needle into the cavity of her tooth to stop the pain. When he got home she entirely forgot the tooth and headache and they sat up about all night talking and visiting. John Green had given Nancy and Albert a quarter section of land when they married, and they had turned it into a prosperous farm, where they raised their large family. However, in 1883 disaster struck. Albert and his brother, George, had been buying and selling cattle and were in debt. They borrowed from Matilda Hogue, a wealthy widow, and her son Joshua. In order to pay this debt they speculated on the Chicago Board of Trade and lost. Albert and Nancy sold their farm to their son Lewis for $10,400. After the debt was paid they had only a thousand dollars to begin a new life in the West. They moved to Sterling, Colorado, in 1889, where Albert farmed with his sons. They later returned from Colorado to Hamilton, Missouri, where Albert died in 1892. 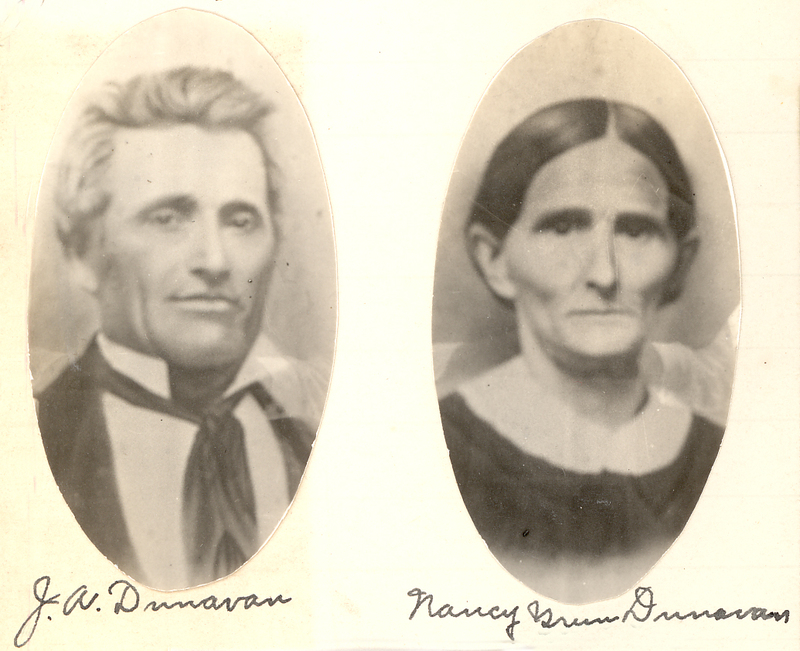 Nancy continued to live in Hamilton with her son, David, until her death on February 27, 1905.